In the first decades of the twentieth century magicians filled the magic journals with articles on card tricks, giving improvements on classic tricks and inventing new ones. If you could put together a collection of these magazines you would have almost a complete course on card tricks, by some of the world's greatest magicians. But where could you find these journals now that they are probably collector's items? And even if you could find them, how much would such a collection cost? Not very much. Because all the best of these tricks are available in this one monumental book, containing nearly every practical card trick produced, invented, and improved by magicians over a span of forty years and more. 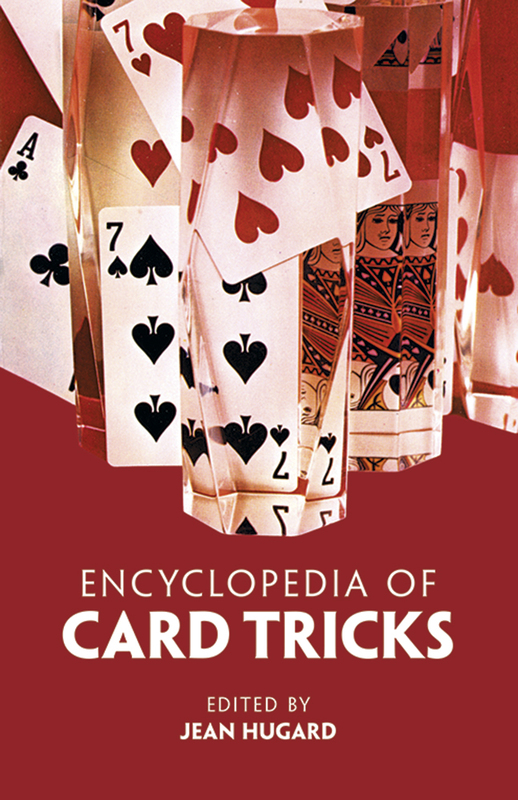 A truly staggering collection, this book explains how to perform over 600 professional card tricks: impromptu card tricks, spelling tricks, "you do as I do" tricks, diachylon (a paste for gluing cards together) tricks, calculation tricks; tricks using key cards, slick cards, double-backed cards, reversed cards, short cards; tricks based on a one-way pack, prearranged pack, Svengali pack, Mene-Tekel pack, stripper pack; special packs; miscellaneous tricks including Everywhere and Nowhere, The Case of the Four Kings, Card in the Orange, The Buddha Whispers, and Inseparable Aces; and a final chapter on tricks using the famous Nikola Card System. In addition, a chapter on technique explains the most important sleights ― the overhand shuffle, riffle shuffle, false cut, palm, simple pass, double lift, glide, and force. Based on a volume compiled by Dr. Wilhelm Von Deusen and Glenn G. Gravatt, this collection was thoroughly revised by Jean Hugard and completely rewritten. It is easily the finest single compendium of classic card tricks, and the clear style makes the instructions easy to follow. An indispensable book for the professional or amateur magician, it is a magnificent source for anyone who wants just the right tricks to mystify his friends or delight his children. Reprint of the 1937 edition.